Enjoy 3 for 2 on Perricone MD. 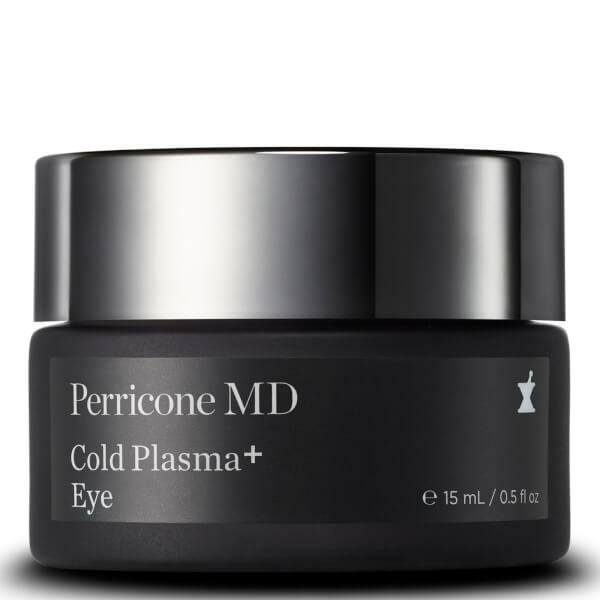 Reveal brighter eyes with Perricone MD Cold Plasma Plus Eye Cream, a weightless formula that smooths and corrects the delicate eye skin. Infused with nourishing Copper Peptides to firm the skin surface, Vitamin C to banish dark spots and Omega 3, 6 and 9 to restore softness, the eye serum helps to target and prevent the common signs of ageing. Dark circles and puffiness are minimised, while fine lines and crow’s feet are visibly reduced. The skin tone is balanced and discolouration is banished for a brighter, smoother, more youthful eye area. Gently pat Cold Plasma Plus Eye onto eye area using your ring finger. Use morning and evening. Keep out of eyes. Water/Aqua/Eau, Isopropyl Palmitate, Cetearyl Alcohol, Glyceryl Stearate, PEG-100 Stearate, Hydrolyzed Jojoba Esters, Ceteareth-20, Olea Europaea (Olive) Fruit Oil, Tetrahexyldecyl Ascorbate, Benzyl Alcohol, Phosphatidylcholine, Acetyl Tetrapeptide-5, Palmitoyl Tripeptide-1, Palmitoyl Tetrapeptide-7, Echium Plantagineum Seed Oil, Helianthus Annuus (Sunflower) Seed Oil, Copper Tripeptide-1, Magnesium Aspartate, Zinc Gluconate, Rosmarinus Officinalis (Rosemary) Leaf Extract, Copper Gluconate, N-Hydroxysuccinimide, Tocopherol, Sodium Hyaluronate, Chrysin, Disodium EDTA, Hydrogenated Vegetable Oil, Glycerin, Dimethicone, Cyclopentasiloxane, Steareth-20, Silica, Titanium Dioxide (CI 77891), Iron Oxides (CI 77491).